I can’t be the only one who thinks it’s weird that many vitamin B12 supplements aren’t vegan. It makes things way harder than they need to be. That’s why I did some research and found the most popular vitamin brands that only sell vegan products, or at least mark them very clearly. If you see any of these brands in a store, online or offline, you’ll be able to tell if the vitamins are vegan or not quickly. If you’re specifically interested in a multivitamin, check out my post of the best vegan multivitamins. DEVA is probably the best known supplement company that only makes vegan products. If you see DEVA, it’s good. 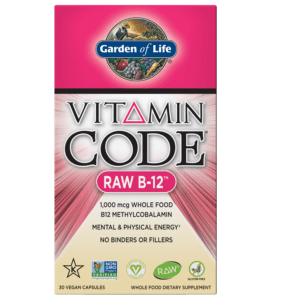 They make a pretty broad line of vitamins, including the big ones like vitamin B12, C, D, and E. There’s also a few multivitamins that combine the main ones. They also have a few mineral supplements like calcium and iron. Garden of Life is known for their raw, vegan supplements. They make protein powders, but also a wide range of vitamins. You can find vitamin B12, C, D3, E, and K, as well as multivitamins and prenatal vitamins. On top of that, they have zinc and iron mineral supplements. One neat thing about Garden of Life products is that some of them are sprays (like B12), which is a unique alternative to standard pills or gummies. Like Garden of Life, MRM is known for their other vegan supplements, mostly protein and general health supplements. However, they have a limited line of vitamins as well. 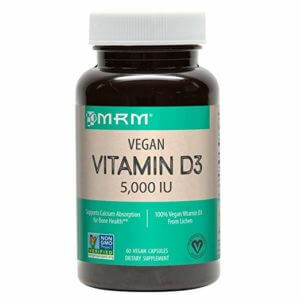 MRM is a good choice if you’re looking for a vegan vitamin D3 or K2. 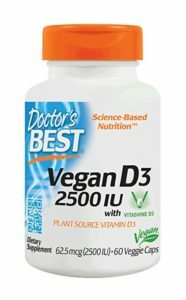 Finally, Doctor’s Best is not a solely vegan company. 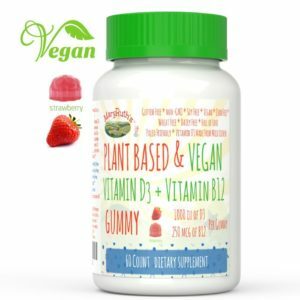 However, they do have a huge range of supplements, and the ones that are vegan are clearly marked with a green vegan label on the front of the product (as you can probably see in the picture above). They have pretty much every individual vitamin you could need: B, C, D, E, K.
They also have mineral supplements like calcium, iron, and magnesium. The majority of MaryRuth supplements are vegan friendly. Aside from standard pill forms, they also come in gummy and liquid forms, which can be convenient. They don’t have the biggest range of products, but they do have a few multivitamins, as well as individual vitamin D3, B2, and CoQ10 enzyme.